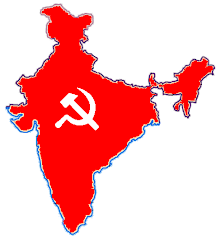 KOLKATA: IN the bizarre media scenario in West Bengal, where almost all business newspapers and channels, except a handful, are brazenly anti-Left, the only viable and steady alternative is Ganashakti, the CPI(M) daily organ that has a broad readership and broader acceptance among people for decades. In the changed political scenario in the state, Ganashakti has practically become the sole voice raising questions about the functioning of the state government, depicting the atrocities being committed against the peasants, workers, women and other democratic sections of people. It has already exposed corruption, nepotism and utter failures of the TMC-Congress government. Naturally, Ganashakti has also become a target for attack. In fact, for the last 14 months Ganashakti has been facing fierce attack of the ruling parties of West Bengal. From urban belt to rural belt, the attacks were everywhere. The attacks were initiated all over the state just after the declaration of results of the assembly election. The ruling party activists immediately started threatening and also initiated attacks in many areas to stop the sale and circulation of Ganashakti. It was declared as ‘banned’, hawkers were attacked, and even the packets of the daily were burnt. Several boards of Ganashakti were dismantled by the anti-socials. Yet, the circulation and sale of the daily continued under such difficult situation. The readers’ increasing interest toward Ganashakti is also evident. Beside the physical attack, the state government, in a completely illegal move, stopped issuing advertisements to Ganashakti. Even private institutions that are issuing advertisements to the daily are facing direct or indirect threats from the ruling party. So, Ganashakti has been facing huge financial loss for the last one year. Moreover, the devaluation of the rupee in comparison to dollar has resulted in a steep increase in the price of newsprint. Allied expenditures have also increased. In these circumstances, the CPI(M) West Bengal state committee has given a call for collecting fund for Ganashakti from people. Party state secretary Biman Basu, in an appeal, said that Ganashakti has been playing its role even amidst these multidimensional attacks. It is only this daily that has been regularly taking initiatives to protect the interests of poor people including the workers and peasants and also effectively exposing the attacks on democracy. Through its news, features, articles and special contributions Ganashakti has been instrumental in revealing the undemocratic face of the state government. Basu said that Ganashakti has been resolutely continuing the fight against the anti-people policies of the central government. It has been operating as the only alternative newspaper when almost all business newspaper groups are playing anti-Left role and eulogiser of TMC and Congress. Daily newspapers and other organs of Communist Party have always tried to portray the real picture of the society to the largest possible reach. Ganashakti has the rich inheritance of Janajudhha and Swadhinata publications. The common people have always extended assistance in publication and management of the organs of the Communist Party. The people of West Bengal protected Ganashakti during Emergency. In those dark days many people risked their lives to render support for Ganashakti. The support of the readers helped it to overcome stiff hurdles. Basu appealed to workers, sympathisers of Left forces, common people and above all the readers of Ganashakti to stand by the daily in this adverse situation. Fund raising to support Ganashakti will be organised in the entire month of August. Basu expressed confidence that Ganashakti will continue to play a strong role to bolster the right to freedom of expression of the democratic people of West Bengal in the future. Labels: 2012, GANASHAKTI, TMC-INC GOVT.